Despite reaching end of life in 2015, the Siemens Unify HiPath range remains in place as a firm favourite for thousands of businesses across the UK. The HiPath architecture offers connection to analogue, digital, and IP trunks lines, translating to analogue, digital, IP and DECT extensions. With the final software level reaching v9, Siemens Unify finally withdrew production, and later support, in order to focus on their newer telephone system range, OpenScape Business, OpenScape Enterprise, and OpenScape Voice. Because Nexus IP provided and supported the HiPath range since introduction at v1, we have significant experience and stock reserves to continue to maintain these systems. Our CRM is still maintained with HiPath in mind, featuring a detailed knowledge base and still using the original bar code references for easy tracking of genuine Siemens hardware. These systems are still expandable and will work on both the older CW1308 cabling and much newer structured Cat5e/6 cabling. We continue to maintain our HiPath 3000 remote access infrastructure, in order to offer both rapid remote fault diagnosis and affordable maintenance contracts. Nexus IP still deliver the same levels of maintenance and support on these systems that we always have done. If you need an engineer on site to address a fault, change, or even a relocation, we will be there. 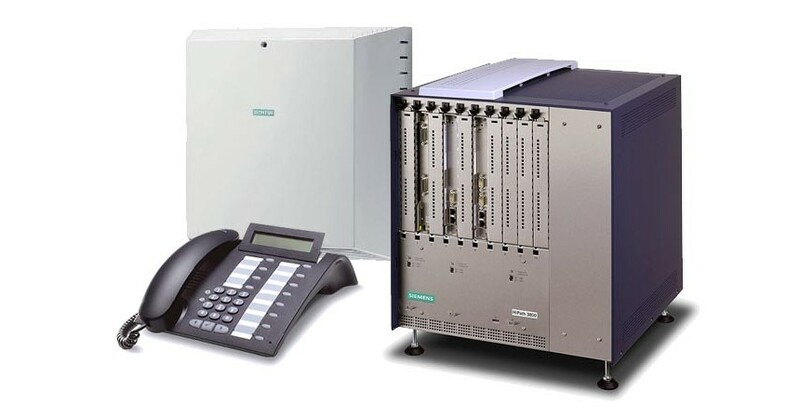 Nexus IP’s pedigree in HiPath is demonstrated by Siemens themselves, when they asked us to install and support the HiPath telephone system into their 51% stakeholder/owner, The Gores Group. We are able to offer discounted upgrade pathways to the Unify OpenScape Business range, which is recommended for clients wishing to keep security features up to date and for the assurance of our manufacturer-backed guaranteed fix. The upgrade replaces the HiPath motherboard, converting the end of life system into the latest architecture VoIP-enabled OpenScape Business telephone system. This upgrade allows continued use of the OptiPoint 400 and OptiPoint 500 handsets. Nexus IP offers reliable, consistent support without the stress of constant up-selling. Our engineers are fully trained on all Siemens HiPath systems, and are ready to help you with your fault both during office hours or whenever is convenient for you, depending on your needs. We can even take you to Unify for coffee and cake to discuss your telephone system and how it meets your needs. Get in touch now if your HiPath support needs improvement.